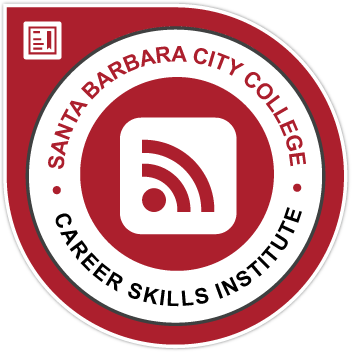 The Enterprise Communication 2 Certificate enables students to develop the additional strategic communication techniques and skills to open up additional work and advancement opportunities. This certificate is also a gateway into other noncredit and credit programs, helping students develop workplace skills and training that will qualify them for even more work opportunities. Workplace Politics | PRO NC035 |Learn constructive political behavior to create more win-win situations, unblock barriers to change, create greater "buy-in" on key projects, develop cohesion and improve decision making. Resolving Differences in the Workplace | PRO NC025 | Practice communication techniques to match the situation, personalities and outcomes desired for each stage of the conflict cycle. Assess strengths and limitations of your communication style. Assertive Communication | PRO NC044 | Discover techniques to be an assertive communicator, acquire ways to receive and give feedback. Address business etiquette with professionalism and assertiveness. Identify strengths and growth areas. Emotional Intelligence |PRO NC013 | Explore EI competencies: self-awareness, social awareness, self-management and relationship management. Apply tools and techniques using the EI framework to optimize your professional performance and working relationships.